An Israeli settler, on Tuesday, attempted to run over a Palestinian human rights defender while he was on his way home to Tel al-Ramida, in Hebron. The human rights defender, Imad Abu Shamsiyya, said ‘the extremist Israeli settler Ofer Hanna, who regularly intimidates peaceful Palestinian demonstrations, attempted to run him over, however he managed to escape unharmed. 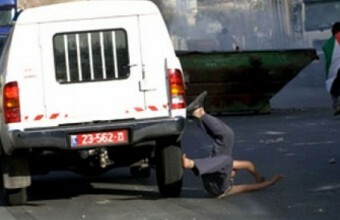 Abu Shamsiyya said, according to WAFA, that this is not the first time he was attacked by settlers in the area. However, this time, he was able to recognize the face of the person who tried to attack him. The activist filed a complaint with the Israeli police against the extremist settler. Settlers violence against Palestinians and their property is routine in the West Bank and is rarely prosecuted by Israeli authorities. Imad Abu Shamsiyya is the co-founder of the Human Rights Defenders Palestine, and works specifically on documentation and video recording of human rights violations committed against Palestinians. He is a long-standing activist in Palestine and was formerly a volunteer at B’Tselem, the Israeli Information Center for Human Rights in the Occupied Territories, where he is involved in documenting the occupation of Tel-Rumeida. The deterioration of Palestinian Authority President Mahmoud Abbas’ health has caught the attention of Israeli security officials and politicians, amid fears that his resignation could spark a war of succession and destabilise current security arrangements in the West Bank. Amos Harel, a military analyst for Israeli newspaper Haaretz, has said that Israel is preparing for the possibility that “the continued deterioration of Abbas’ health will lead to a struggle for succession within the PA, which would destabilise the relative stability of the West Bank,” Arab 48 reported. Harel also wrote that with nearly 10 Palestinian politicians and security officials vying for Abbas’ position, should he be unable to continue his role as President, “there could be temporary alliances formed between some of them in an effort to win the leadership of PA”. Harel states that the Israeli establishment is concerned this “internal tension will impact the degree to which the PA security services will work to prevent attacks on the IDF [Israeli army] and Israeli civilians in the West Bank”. Debate about who will succeed Abbas is rife. It has been reported that senior Fatah official Mahmoud Al-Aloul has been appointed as a temporary stand-in for Abbas should he be unfit to continue his position, although General Majid Faraj, head of the General Intelligence Services, is said to be Abbas’ preferred choice of successor. Rumours have also circulated that Marwan Barghouti, who is seen as the leader of the two Intifadas and has languished in Israeli prison since 2004, is a popular choice among Palestinians. Likewise, Salam Fayyad, the former PA Prime Minister and Finance Minister, is seen as a reputable choice who could be popular with the West and Israel. The current upsurge in discussion has been fuelled by the fact that Abbas, who is due to turn 83 at the end of March, was hospitalised while visiting the United States to address the UN General Assembly in New York. He underwent tests in a Baltimore hospital, and is also said to have undergone similar tests in a Ramallah hospital in July 2017. Despite this, in an interview with Palestinian television on 22 February, Abbas said he was in good health and PA spokesmen have attempted to downplay reports of his ill health. Abbas has faced a busy few months in the wake of Trump’s unilateral recognition of Jerusalem as Israel’s capital. Speaking to the UN Security Council in February, he called for an international conference to be held by mid-2018 to restart the peace process after rejecting US-led initiatives. Abbas has appeared increasingly weak in the face of pressure to do more than verbally condemn the US move and looks unlikely to strengthen his position in the coming months. The killing of two Palestinian children in the occupied Gaza Strip last month by Israeli forces was “a demonstration of Israel’s unremitting shoot-to-kill policy”, human rights NGO Al-Haq has stated. The incident on 17 February left two dead – Salem Muhammad Sabbah, 17, and Abdullah Ayman Ermilat, 15 – and two others injured – Salim Mahmoud Abu Safra, 17, Ahmad Ibrahim Abu Harb, 16. According to the findings of Al-Haq’s investigation, Israeli occupation forces “shot live ammunition and fired around ten mortar shells” at the four Palestinian children, as they “approached the Gaza Strip’s eastern fence” at around 9.30pm, east of Rafah. The teens were intending to cross the fence in search of work. When they were 30-50 metres from the fence, “Salim and Ahmad were walking ahead of their two friends Salem and Abdullah when they heard sounds of movement nearby, followed by heavy shooting and explosions”. “I ran away quickly and my friend Ahmad Abu Harb fled with me. I did not see my friends Abdullah Ermilat and Salem Sabbah because of the darkness and did not know their fate. We ran towards the west as the heavy shooting continued and the sound of explosions were heard near us”. Salim and Ahmad were both injured by shrapnel in their legs, abdomen and hand, but did not learn of the fate of Salem and Abdullah until the next morning. “I found out from my father at around 9:00am the following day that my two friends, Salem Sabbah and Abdullah Ermilat, had been killed as a result of injuries sustained to the abdomen and various parts of their bodies”, Salim told Al-Haq. “I was told that they were left bleeding to death near the border, that no ambulance was able to reach them all night”. Al-Haq noted how, “as in numerous [other] cases”, Israel “is in breach of its obligation not to resort to excessive and lethal force against protected Palestinian civilians in the Occupied Palestinian Territory (OPT)”. “Clearly”, Al-Haq added, “there is no necessity or consideration of proportionality established in shooting to kill unarmed civilian boys, notably Salem and Abdullah who were left bleeding to death without the provision of medical assistance for their injuries”. “As such, the killings may fall within the purview of the preliminary examination by the International Criminal Court (ICC) into the situation in Palestine since 13 June 2014”. Israeli occupying forces have imposed a new system of checkpoints around the West Bank that requires Palestinians to submit their personal information, according to Haaretz. The procedure was reportedly trialled some months ago as a temporary measure as part of the military’s regular surveillance of public spaces, but has now become permanent. The checkpoints now require all young men who pass through to fill out a form with their name, age, telephone number, identification number, type of vehicle and license number, as well as a photocopy of their ID and giving both the origin and destination of the trip. The checkpoints will operate early in the mornings when most Palestinians are on their way to work and will increase the usual traffic jams. Some 70,000 West Bank residents also use checkpoints to travel to their jobs in Israel and already have to leave hours in advance due to heavy queuing. 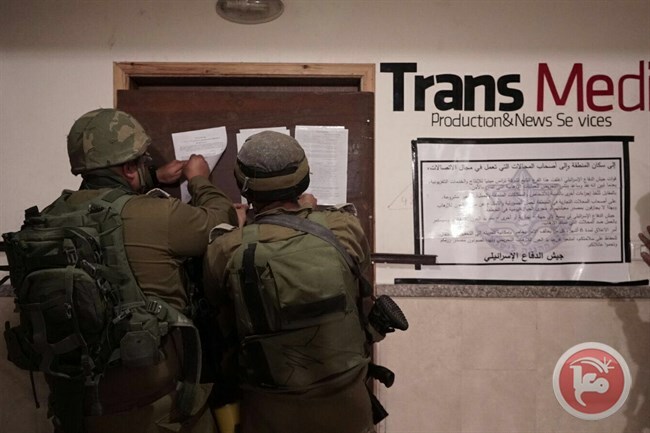 The Israeli soldiers at each checkpoint must submit at least 100 completed forms for each shift, prompting many to complain about the new policy due to the disturbance to daily life and the invasion of Palestinian privacy, submitting their testimonies to Israeli NGO Breaking the Silence. One Israeli soldier who recently completed his military service said that the army placed emphasis on filling the form, not checking the vehicle: “They told us, “You do the check without filling in the pages – it’s not actually important, it doesn’t do anything””. Another soldier who took part in patrols to collect personal details said that often soldiers made up the number of forms collected “since it’s impossible to do so many checks”. Palestinians are regularly subjected to many checks and harassment as a form of intimidation. Such measures are justified as necessary for security, but serve to disadvantage hundreds of Palestinians with many experiencing hours of delays to travel short distances. Many of the checkpoints are known to be lacking in infrastructure and sanitation, with those that must be crossed on foot often dangerously overcrowded. 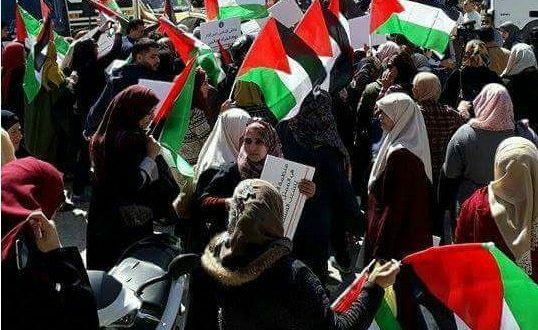 Israeli Occupation Forces (IOF) on Wednesday attacked a women’s march near the Qalandia military checkpoint on the occasion of International Women’s Day. Almost instantly after the protesters reached an area close to the terminal, the soldiers started firing a barrage of gas bombs and sound grenades. An opportunity to develop the media, who grabs it? A great media revolution broke out into the Palestinian media in recent years due to the great improvement of the media publishing tools and the rapid flow of information generated by the events in Palestine from the occupation, Palestinian internal division, reconciliation negotiations and exchange prisoner deals at the international level. But this added more challenges and new obstacles to Media sector. It is no longer logical to deal with the media as cheap accessories that is presented based on the market needs and the demand determined by the governor; indeed, the media with its new tools has become the sight for the public in dealing with its various issues and spreading their ideas and opinions. Also, it is no longer acceptable that this media, which is the property of the entire society, remains a hostage to the masculinity of society. Today, Palestinian women have presented models that enable them to lead the Palestinian media. Despite all of these improvements of our media, still we are in a desperate need for more training and reforming. All the books, newsletters, magazines, the visual, auditory and written media tools can’t lead to the establishment of honest professional media if it is not honest in the objectives and roles, but if they disregard the supreme interest of our national issues and the concerns of society, it will not be in the interest of anything. For anyone who tracking and following up the outcomes of the national team for Palestinian media development, can notice the nine axises: Legal reform, academic development, media, society, social type, Career stability, self-regulation, infrastructure, media training and public media. All deserve to be a viable national model, which requires all official and non-official actors to work hard to adopt these outputs are working out. The Palestinian media still needs big and bold steps to push it forward. This will only be achieved through an advanced and interlinked media strategy, by providing full opportunity for cultural participation by experienced and competent professionals, technologists and intellectuals, to overcome the current problem.